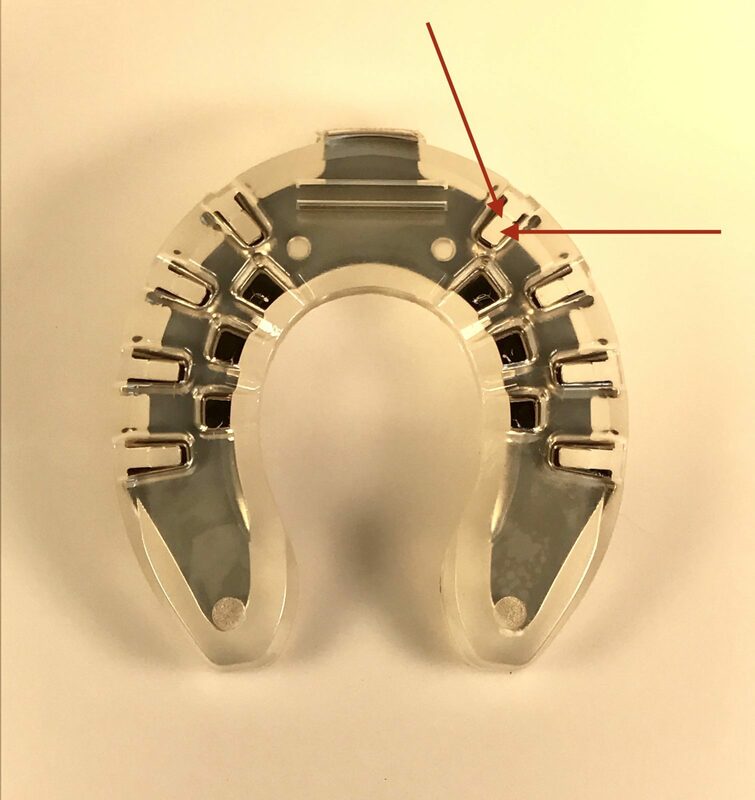 Lately a lot of time and energy has been invested by the EasyCare staff in the the improvement and testing of the new EasyShoe FLEX. 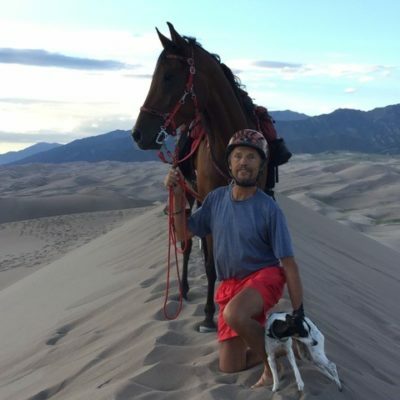 In my February blog about the new FLEX, At Least Once, I had promised that more testing will follow and that I will report on the results here in the future. 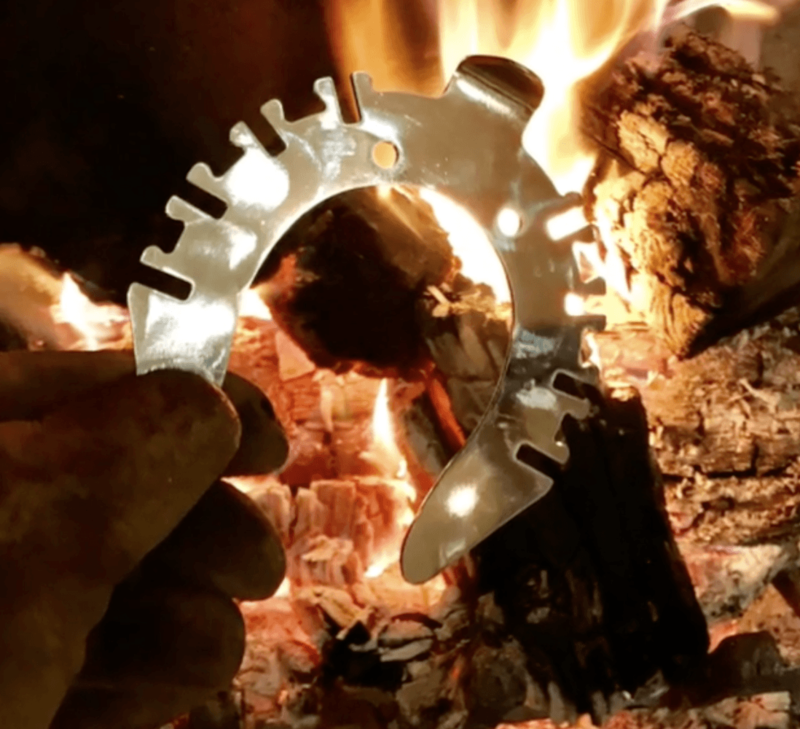 Some fellow farriers and riders asked me why we need yet another EasyCare product. 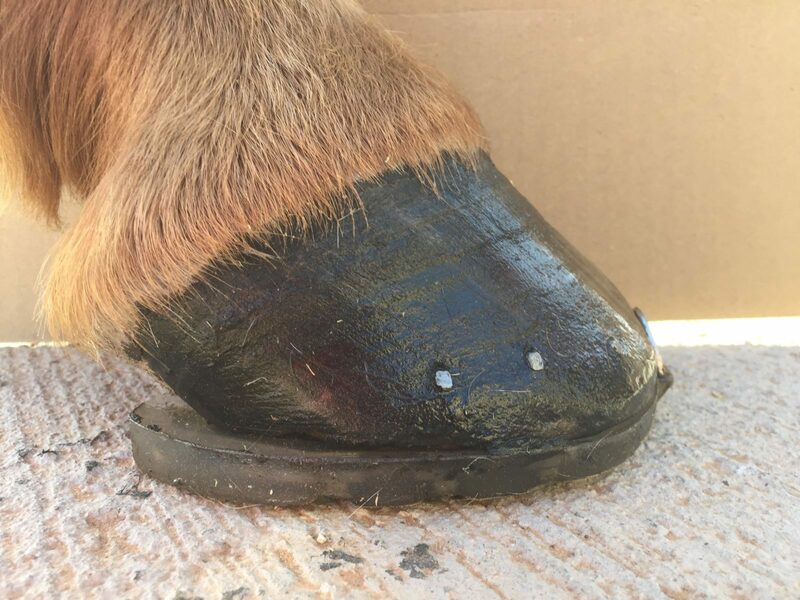 After all, EasyCare is already offering so many boots and shoes: from the various strap-on boots for all equestrian disciplines and all levels of riders to Glue-on shells, half shells like the Flip Flop, four different EasyShoes for gluing and nailing. So, really, why even more EasyShoes? 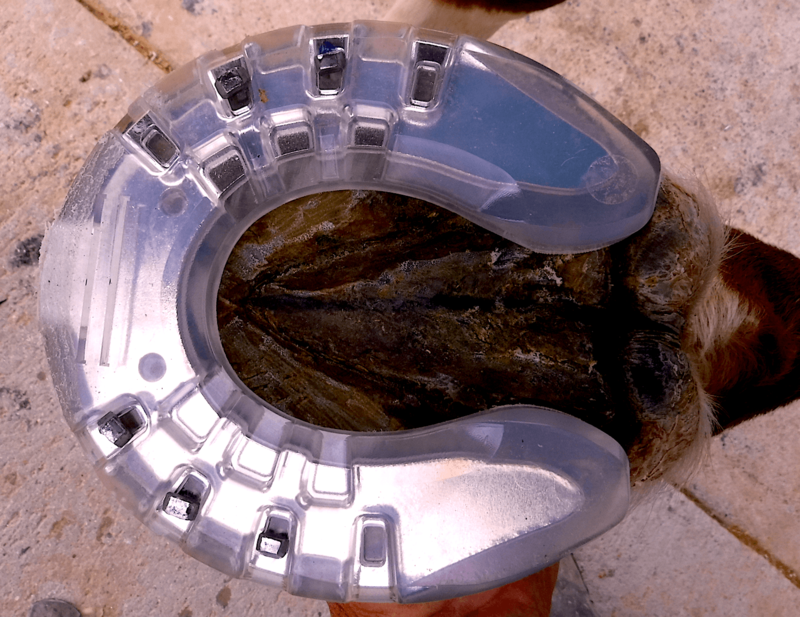 Foremost, EasyCare is an innovator in hoof protection. 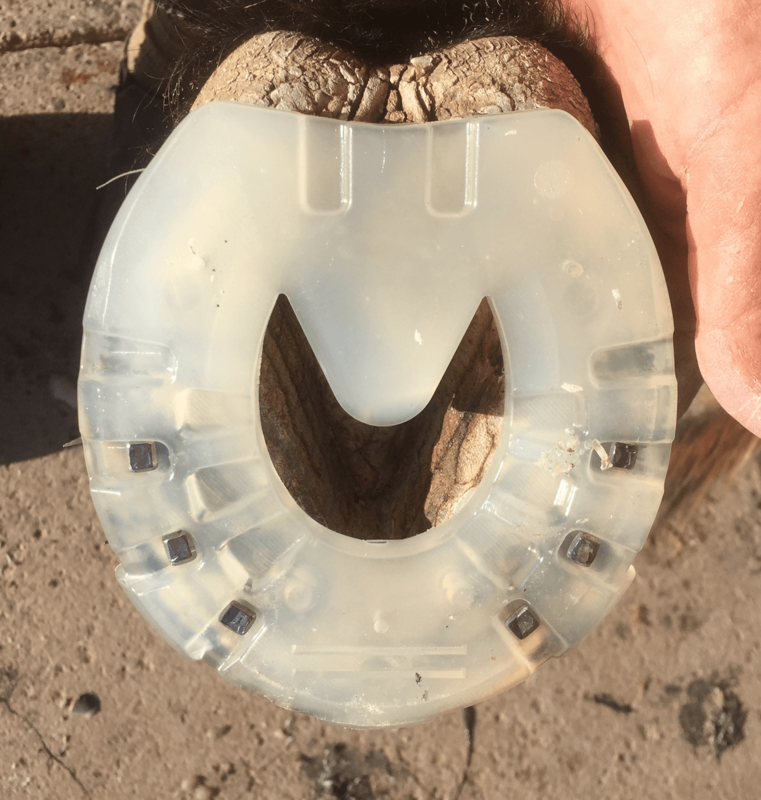 That means that the staff of EasyCare, led by the CEO Garrett Ford, will always do R&D to make ever better products that will help the horses and make the job for Farriers and Hoof Practitioners easier. 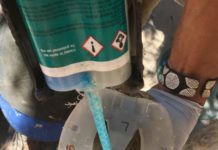 Read Garrett Ford's Blog from earlier this year explains all his R&D work recently. 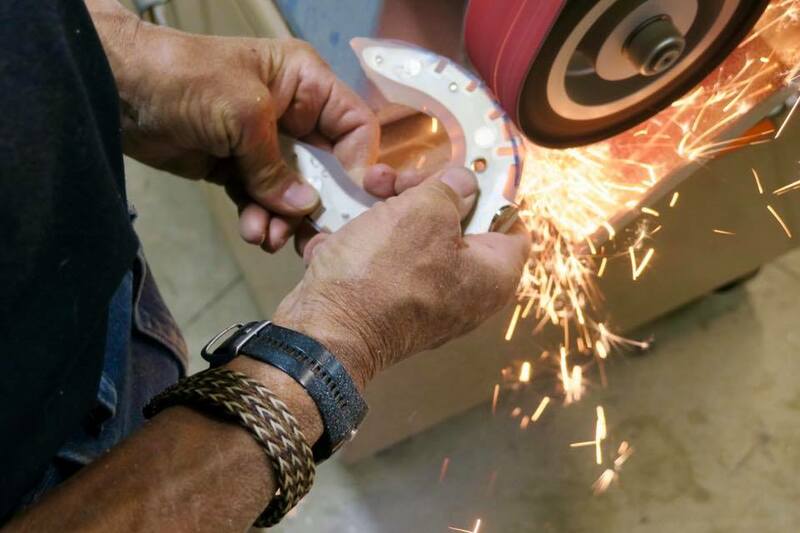 This specific new shoe is actually a joint venture with Curtis Burns and his company, Polyflex Horseshoes, No Anvil LLC. The nailing slots and dorsal clip of the steel insert. Arrows point to the slots of the steel insert within the polyurethane body. 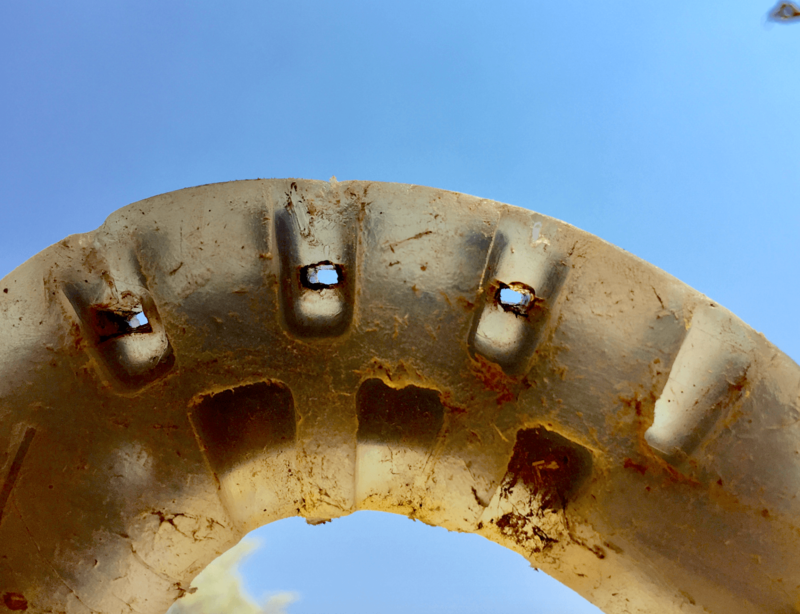 The clear material allows the farrier to easily identify the white line. 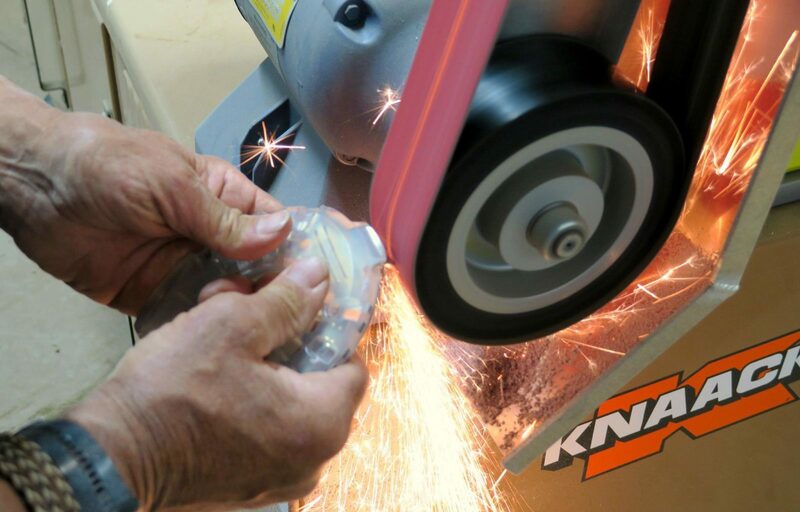 With a grinder, the shoe can get modified in little time, e.g. the dorsal clip removed, sides and heel area shortened and adjusted. Not a problem if some of the steel is getting removed as well. Open heel model nailed on. Model with heel support and dorsal clip. 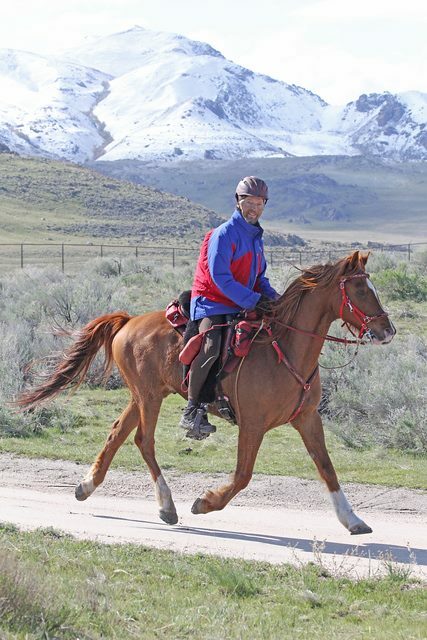 A model with dorsal clip nailed on a horse named Starlit way of GETC. With this shoe he won a 50 mile endurance race and also won the BC Award. Another example of a nailed FLEX. How did the FLEX perform in the field? 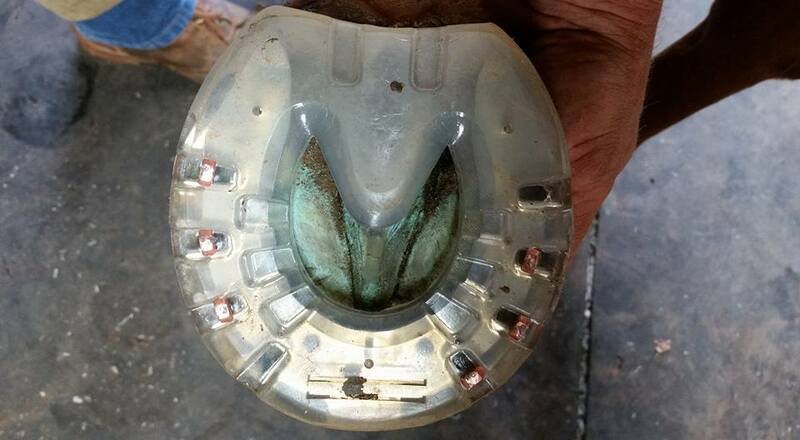 What results did horses get that were shod with the new FLEX? 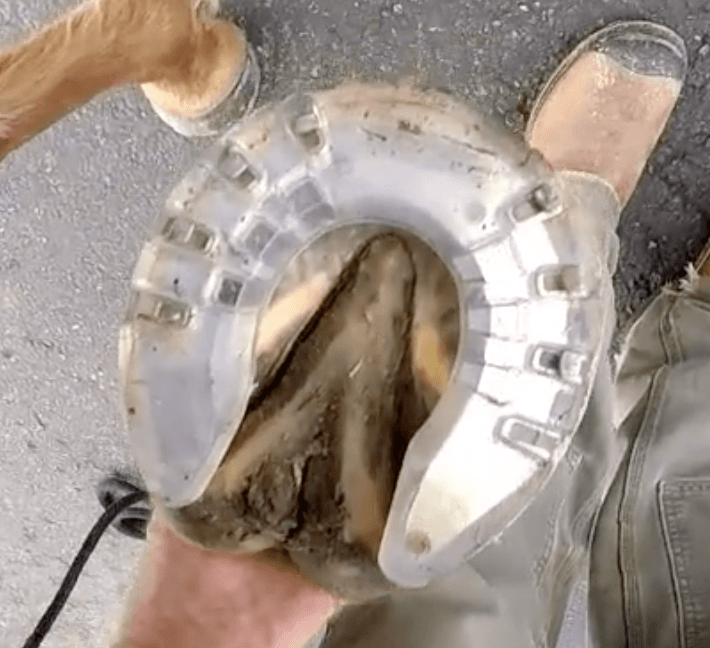 No horses shod with the FLEX were pulled for any kind of lameness. 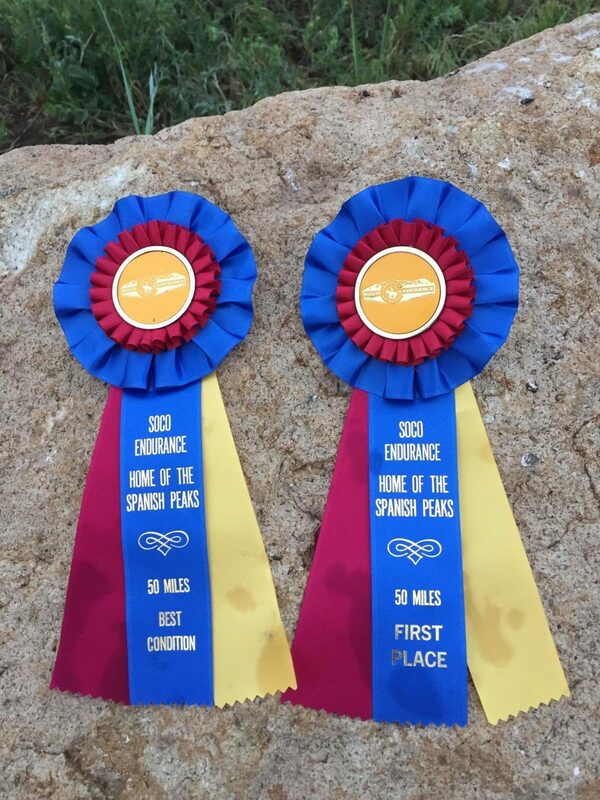 A win and BC Award for the FLEX at the recent Spanish Peaks Endurance Race, organized by SoCo Endurance and Tenney Lane in Colorado. This shoe was tested in 2 endurance races over decomposed granite and gravel roads. 100 race miles and 40 training miles, 4 weeks old. 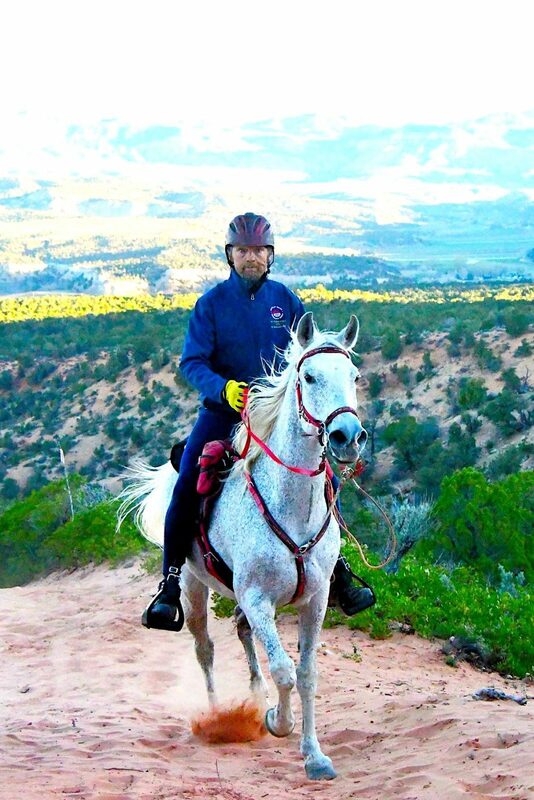 150 endurance competition miles over varied terrain. 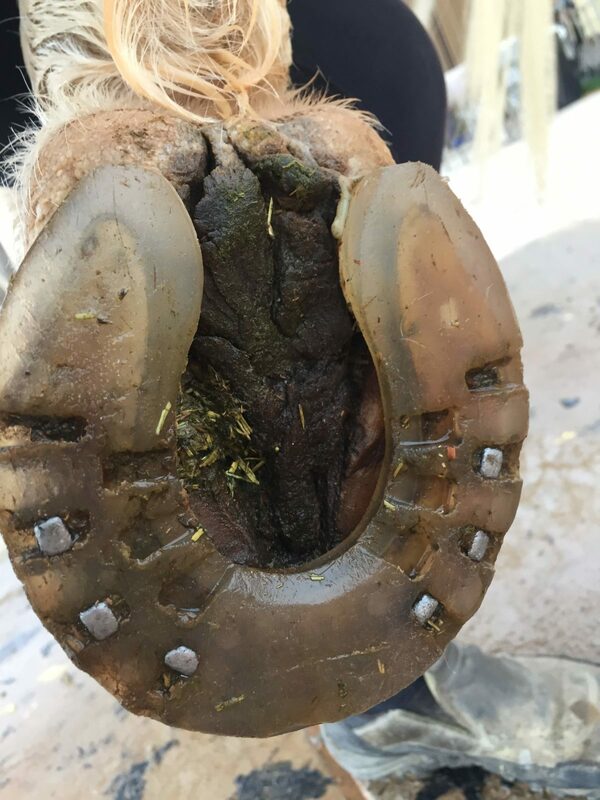 The sole opening was optionally filled with Vettec CS to prevent any accidental sharp rocks to bruise the somewhat flat sole of this horse. An open heel version, filled with Equipak for extra protection. If the soles are hard and well cupped, this step is not necessary for most applications. The FLEX with steel insert is scheduled to be released sometime later this summer or fall. Later this year or early next year, these shoes will also get offered without the steel insert. The FLEX LIGHT is, as the name suggests, even lighter in weight. I also tested quite a few of these shoes as well and was able to compare to the ones with the steel insert. Results: The FLEX LIGHT wears as well as the FLEX and has as much stability. 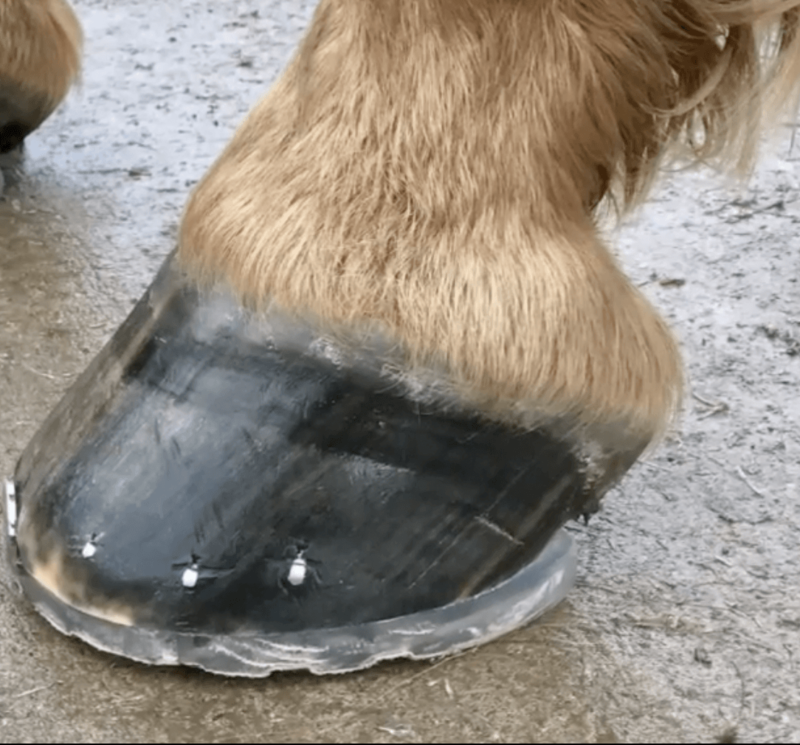 A great option for riders looking for very light weight hoof protection. Optionally filled the sole area with Vettec Equipak. The LIGHT does not sport the steel insert, but the nails were just as secure and never loosened. So, how do the nail holes look after 6 weeks and with one hundred and more miles of endurance races? In all cases, the nail holes were nice and square, no loosening or widening of the holes. Provided there is enough profile left, these shoes could get reset. As mentioned above, the FLEX are easier to nail on compared to steel shoes and even the Performance N/G. For the future, EasyCare and Global Endurance Training Center are considering offering clinics for nailing these shoes to anybody interested in learning this skill. Stay tuned for updates on this topic. Let us have a final look at the nail holes after the shoes were removed. 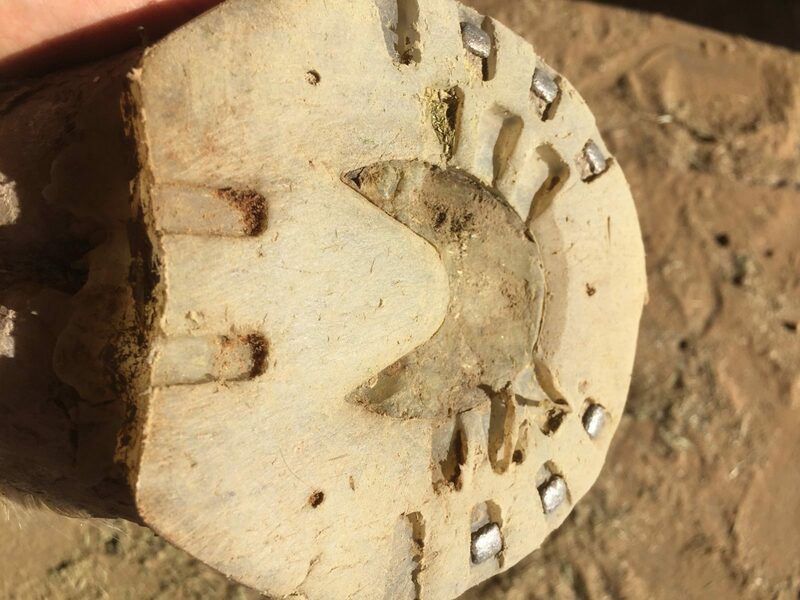 The sample below was nailed on with 6 nails, the horse did 155 endurance competition miles and 60 training miles. These shoes were on the hooves for 5 weeks. 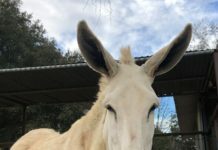 There is a lot of profile left and they certainly could get reset. What impresses me most, though, are the clean and crisp square nail holes. Through all the wear and tear of the hundreds of thousands of foot falls, the nail holes did not enlarge at all. They are exactly the size and shape of the nail shaft. Impressive. 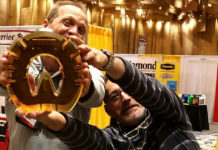 It bears testimony to the toughness of the polyurethane material that EasyCare is using and to the quality of the product itself.